The Cleopatra IV Swim Spa provides you with the same advantages of a swimming pool, without encroaching on space. The Cleopatra IV is available in a number of lengths with a bespoke finish to suit your requirements. 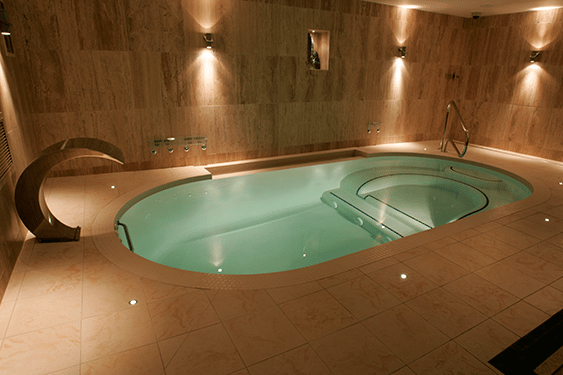 The exquisite and fully functional hydrotherapy swimmer provides the health benefits and relaxation that you deserve. Three variable swimjets with air and water flow control. Floating thermal heat retention cover. Filtration – Three pump system, variable speed air blower, electric heater or heat exchanger (exchanges heat from other heat source i.e. gas/oil boiler), cartridge filter or sand filter. Single or 3 phase electric.